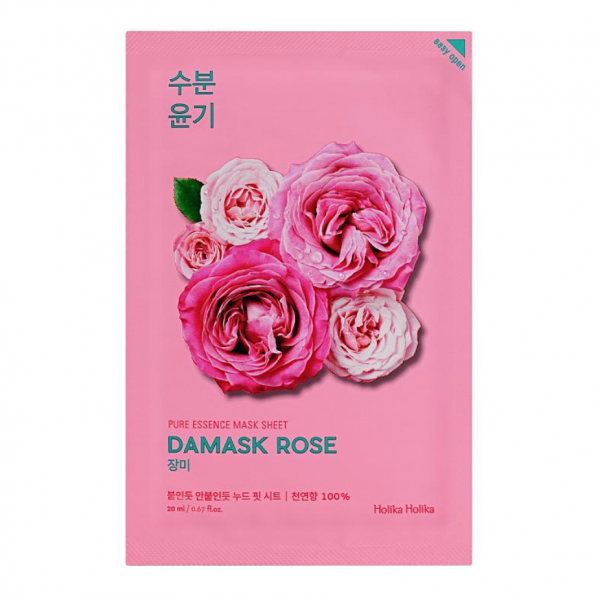 This Holika Holika sheet mask with damask rose oil deeply moisturizes the skin, brightens it, and returns your skin to a healthy tone.  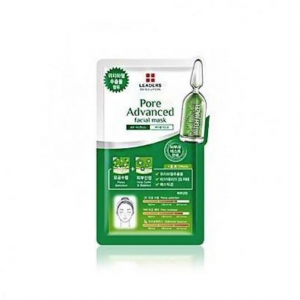 The damask rose oil reduces the intensity of post-acne scars. 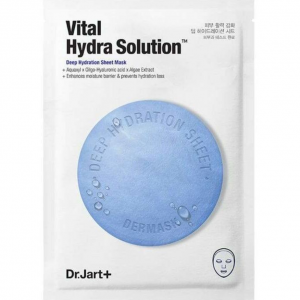 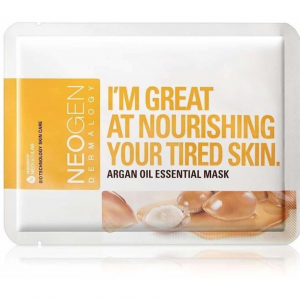 This sheet mask is also great with lifting and restoring skin elasticity. 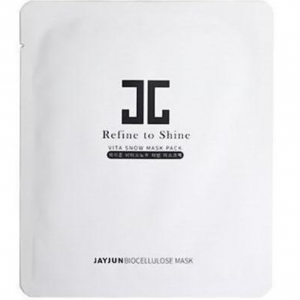 The mask has an ultra thin base that provides tight contact with your skin and better penetration of the useful components in the sheet mask. 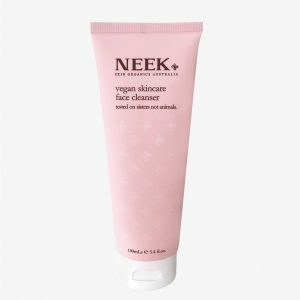 Damask rose oil helps reduce pigmentation spots, chamomile extract fights inflammation and moisturizes the skin, and grenade extract returns dull skin to a healthy color.